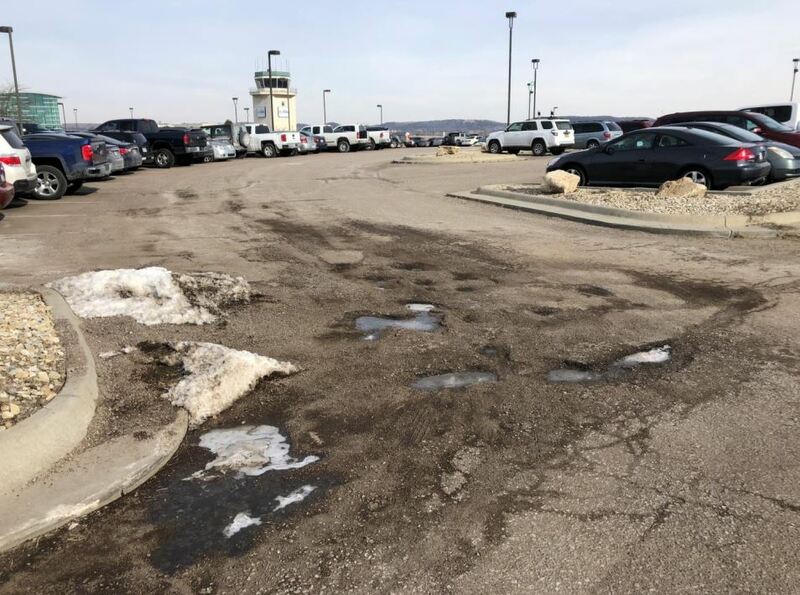 The City of Manhattan took the first steps toward a $4.9 million expansion of the Manhattan Regional Airport parking lot. The City Commission unanimously approved authorizing administration to request bids at its Tuesday meeting. Parking expansion has been in the city’s plans for years, which Airport Director Jesse Romo says is warranted. He says they exceeded their current capacity of more than 700 spots this past Christmas with enplanements increasing yearly. The temporary gravel surfaces also have suffered following multiple storms and portions of paved surfaces are failing as well, with failure estimates in at least one lot at more than 30 percent. Romo also says they hope to solve lighting issues as well as remove trip and fall hazards from their lots. 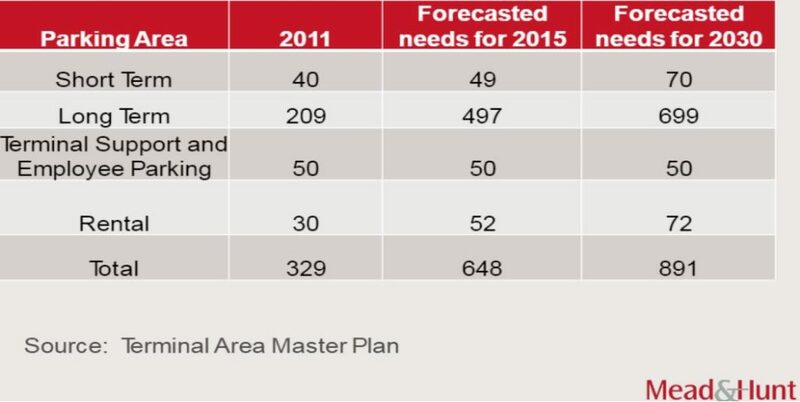 The completed plans would bump the total number of spots to 935, which satisfies their projected needs past 2030. 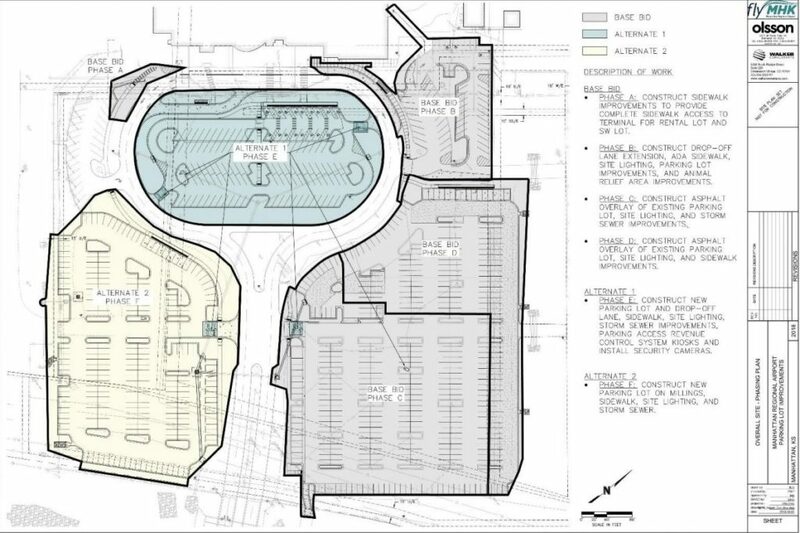 Also in the plans is an ATA bus drop-off loop as well as a ride share pick-up zone. The project is broken into phases so commissioners could spread out the impact and expenses up over time if they choose. The Airport Advisory Board has expressed support that the project be funded by a $5 per day parking fee. Based on a consultant analysis, that fee would cover annual bond and interest payments on 10, 15 or 20 year bonds. Much of the discussion focused on the funding of the project, which was not decided that night. Mayor Pro Tempore Usha Reddi says she hopes the fee won’t negatively affect airport parking or patronage more than the consultants anticipated. Commissioner Wynn Butler says he likes the plan and that it’s “high time we charge” for parking. Commissioner Jerred McKee says he is torn on the topic because he sees the need for parking, but also believes that the future of how people will travel will change. Butler replied that they can park the Uber fleet there in that case. The commission will decide whether to break up the project by phases as well as the funding at a future meeting. The post Manhattan approves airport parking expansion project to go out for bid appeared first on News Radio KMAN.